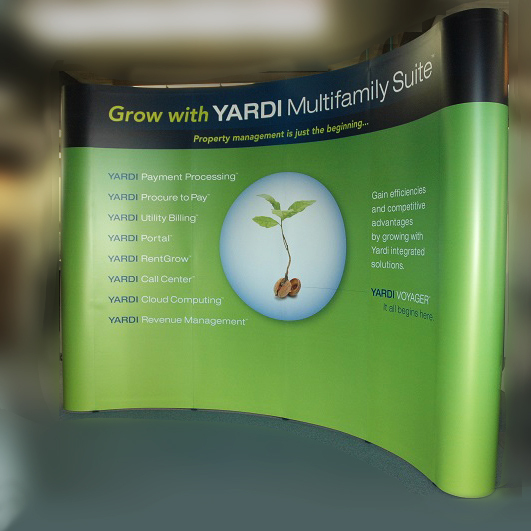 We offer full size popup displays with graphics printed on the same polyester film and 5 mil matte laminate as our rollup banners. The popup display graphics also have an added 10 mil white backer to help stiffen the panels. The panels are mounted with hanger bars and magnetic strips for easy assembly and disassembly.Ten feet wide is the standard size (photo right), but other widths are available. Hard cases and LED lights are available for popup displays.